Balearic Ibizan inspired tapas & cocktail bar in the heart of Liverpool's independent Ropewalks area. Great location - really pretty inside. Staff were all really friendly- great customer service! We had a first class meal , the staff were brilliant and the sangria sublime. We had a big table upstairs for a group party. The atmosphere was great and we were well looked after. The tapas food was very tasty and not bad value. Really enjoyed our first visit following a recommendation from my sister. Food was lovely especially the prawns, lamb lollies and chicken bao. Nice place and service too, and a good atmosphere even for us oldies. Such a lovely and friendly place. The food was amazing and the staff went above expectations. Highly recommend! 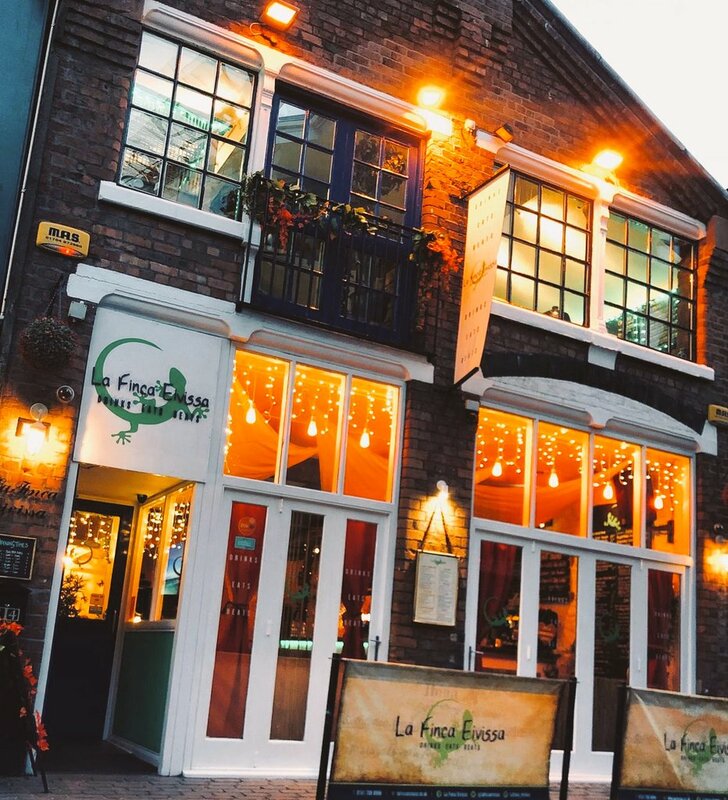 Amazing place, always love coming here - friendly staff and the best cocktails and tapas in Liverpool. We arrived at 8pm, ordered starters at 8.15pm and walked out at 8.55pm as we had clearly been forgotten about. Such a shame as I bet the food would have been amazing, but if that's how you treat customers I'm pleased you didn't get a penny of our money! We spent a lovely night at La Finca Eivissa the food and cocktails are gorgeous and the service is excellent. Excellent service. The serving staff were really helpful. 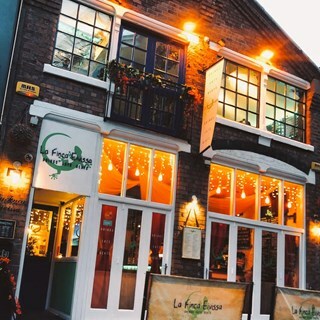 Fantastic - best place for cocktails, tapas and atmosphere in liverpool and good value for money. We loved our visit. The staff were really helpful and the food was really tasty! The atmosphere felt like we were on holiday. Will definitely visit again. Thoroughly enjoyed the atmosphere, food was tasty and came quickly, staff were helpful and efficient. Will definitely be returning! Great! Recommended by granddaughter as she came on for her birthday and also had a great time, will be recommending to others ! Bring back the Ham + Cheese Croquets...and the Rum and Coconut Chicken....thanks. First time have visited the restaurant but could not have been more impressed with the food and particular the service. I came here for my birthday meal with family after seeing the 3 for £12.95 tapas deal. We all had such a good time and everyone enjoyed the food. The portion sizes were really big and good value for money. 2 people dining were also vegetarian and there were plenty of options for them, usually it's a problem in many tapas restaurants we go to. The staff were all lovely, especially the waitress who was dealing with all tables but still managed to stay patient, polite and friendly and was there if we needed anything. We stayed for a drink downstairs afterwards too, the whole place is decorated beautifully and we loved the atmosphere. Will definitely be visiting again soon. Thank you! Second time we have been here in a month, we absolutely love the food and atmosphere and cocktail menus, can’t wait to go again! Especially going in the week, to make the most of their great deals!